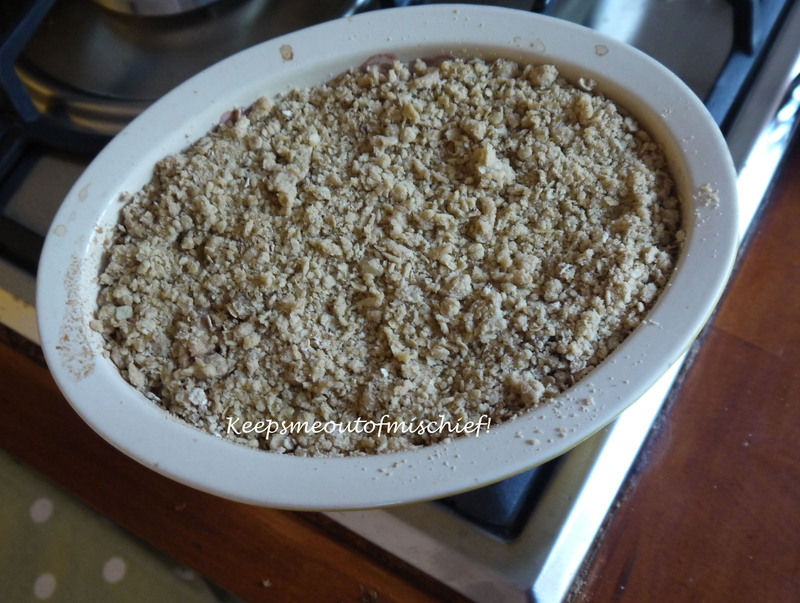 Apple and Blackberry Crumble from the Garden | Keeps Me Out Of Mischief! This apple and blackberry crumble contains six apples from my mum’s garden and about two handfuls of blackberries from the jungle that is our garden. I used the same crumble mix as on this crumble. Delicious after a roast chicken dinner with a bit of custard. Yum!